This is the copy of actual post – posted in Googlepages as Alumni Trip. Plans for alumni meet were elaborate. The feeling that, almost after one and half years you are going to see the entire class was running high on every one’s mind. It was Friday evening, the final weekend of 2007; I have left office early that day and was in room, I have packed every thing and kept ready for the travel back to Coimbatore. Sitting in the electric train, I was thinking that whom all I am going to meet, not ruling out the possibility that most of them I can see in the station it self. I have to meet Fowzul, Kamalee and Muthu in station as planned (for those who don’t know who is Muthu, he is my, Parthiban’s ILP friend, and Fowzul’s project mate). Plan was to take Cheran express by 10.15 and reach Coimbatore by 6 am in the morning. As I said earlier, we met most of the MCAs and our senior’s in platform 11, station it self. Further to our surprise, we had an un-expected high profile passenger travelling with us. It was apparent with the tight security all over the platform; it took some time to find out who was that. Chief Minister of TN was taking that train to travel to Tiruppur. Police were present in every boogie and checking the passenger list against tickets and bag gages. That did dampen our spirit a little bit, but it gave us the feeling that we are going to have a safe journey. True, we had a safe journey. The train reached safely Coimbatore by 6 am and we reached home by 6.30. As per the invitation schedule, the inaugural event is set to start by 11 am. I called Vidhy and Parthiban to confirm the timing of our meeting well before entering the college. We planned to meet near ‘Royal Zip’ by 11.30 and then to enter college. Vidhy called me and said that he will be coming late. Parthiban took little more extra time then expected as he has to ride the ‘Hero’ bicycle, that, he borrowed from his neighbor. We had tea and then decided to enter the college. It was 12 noon. After enrolling our names in the registration disk, I started looking for class mates. I was informed few of our friends were present inside the hall; I dared not to enter the hall at this point of time. By 1 or so, we were able to meet all of our friends. 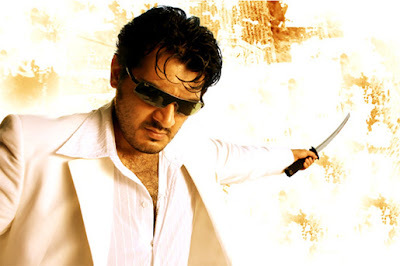 Although could not meet our teachers, we decided to go ahead with the next plan – ‘watching ‘Billa’ – movie noon show in Senthilkumaran theatre’. Uma had a different opinion. But still fair number of friends turned up for the movie. We have to rush to the theatre and find our seat. Vidhi has already booked ticket (and still he hasn’t got the money back from few of us 🙂 hope he not losing too much). The movie is really awesome, Ajith and Nayan rocked equally. After the movie got over, we returned back to college by 6 pm. By that time, Tech music has started and they were playing mild music. Although the songs didn’t help us much, we were not left down totally. As minutes passed one after one, the crowd slipped into party mood. And the number of sweet rascals (I prefer addressing them as the most happening part of crowd!) grew exponentially. I don’t know how many in the audience saw the dancers in the podium. But, hardly had they missed the back seat actions. People from MCA and AM have formed small groups, and started dancing to them self. Jhulfikarali’s contribution in this front needs special mention. When Jhulfi had put raw power on display, Karthick has put some professional dancing skills for demonstration. Later, we had some chance of taking pictures with few faculties. The night dinner was also good. The day ended with the great note. The much awaited – Alumni (Mukali) trip. Alarm started ringing by 5.30 early in the morning. Normally – on any other day, I would have ideally snoozed the alarm for another hour. But Sunday was different. Took bath and reached college by 6.30. Most of the appmaxians gathered and we took bus number “2”. Around 7.15 the bus left the college campus and took the ‘thadakam road’. We were left with very few cassettes offering very few peppy songs. But our spirits were not down. Fowzul, Kamalee, Sivamala and Jhulfi took the centre stage. Breakfast was arranged at PSG farm house near thadakam. Still mist in the air, the road to the farm house was worth the journey. We enjoyed the ride with songs and dance. It was an hour and half trip. We reached the farm house around 8.00 and were waiting for others to come. We relaxed a bit by taking a walk around the farm. Mostly covered with lush greenery, dew drops still in the grass, birds cooing and big trees – the farm was a pleasant alternative against the city noise. Few of us gathered a group to play cricket and football. The cricket deserves a special mention. I have never seen a pitch greener then the one we had. The ball never rose to off any mentionable height after the first pitch. The game was specially designed for people to get out soon. One pitch one hand, three times a dot is considered as wicket; boundaries are prohibited and deemed to be out. With so many restrictions in place, it is one way or other that you will get out in the very third ball. But it was good to get people moving soon. The football was equally overwhelmed by people. Standing in a circle formation they passed the football between them. Most of the time, the ball passes through them and have to run into the field to get it back into the circle. Few others enjoyed ring and throw ball. When the time came for breakfast, we have to rush to the make-shift open air dinning hall. A big tree provided the necessary shade from the sun light, which had just started to gaze. With pressed dried palm leave, we made a quick queue. Idly-vada and pongal are served hot. There was a separate queue for dosa. That queue was big as the main attraction was for the four different varieties listed. We started to Silent valley from farm house by 930. Energised by egg dosas and mushroom dosas, the journey did saw most of the people taking the dancing stage. To keep the tradition, the seniors did force the faculty in the bus to dance for a song. The second journey took us deeper and deeper into the hill and we eventually crossed Tamilnadu border and entered Kerala. In another half hours journey we reached the destination. I don’t know the name of the river and none of us know for that sake. There was a big, tall six feet wide overpass and shallow water below that. The river didn’t have much of the current and looked calm. With dense trees and shrubs covering the both sides if the banks, it did offer us an impressive feeling. It was Karthick who took waters at the first go itself. Initially, I was not in a mood to take water, but Parthiban and Jhulfikar forced (Hmmm… should the correct word should be dragged!?!) me into the water. The water was chilly and crystal clear. The water is hardly of chest height and I am sure all enjoyed this. For the next two hours followed, we played all sorts of water game and grew tire. When the clock inch closes to 1 we could feel the hunger more then the chillness. Arrangements were made for preparing fresh, hot masala vadas and some snacks. But the queue for that is lengthy too. We decided to get out of the water looking for warm tea and something to munch soon. After so much searching, we could find a small hotel by roadside. It is a small hut; the server, who took the order, was the chef and the owner. He was so pleased to see us. The hut served as a hotel in the day time and doubled as a living space in the night. He could speak limited Tamil could understand our orders. Vidhi took parottas with omelet. Parthiban, Muthu and I took tea. Karthick preferred to sit and watch us hogging. The bill amount was fifty and was really cheap. Compared to the morning queue, afternoon queue for lunch was bigger. And due to some ad ministerial reasons, it took some time for the lunch to come. But when it came it was good. Two separate queues for vegetarians and non-vegetarians saw high volatility. Parthiban suddenly became vegetarian as the veg-queue diminished at a higher pace. Since all of us are tired journey saw people singing instead of dancing. A group was signing songs praising men and another opposite gang lead by gals were singing songs praising gals. The day which started early at 6 am and full of activities was drawn to end at 7 pm in the evening. Vidhy – For delivering the pictures and for NOT delivering equally important pictures. Muthu – For attending the function, so he deserves a honors degree in Appmax now (personally). A Small photo embedded in flash.